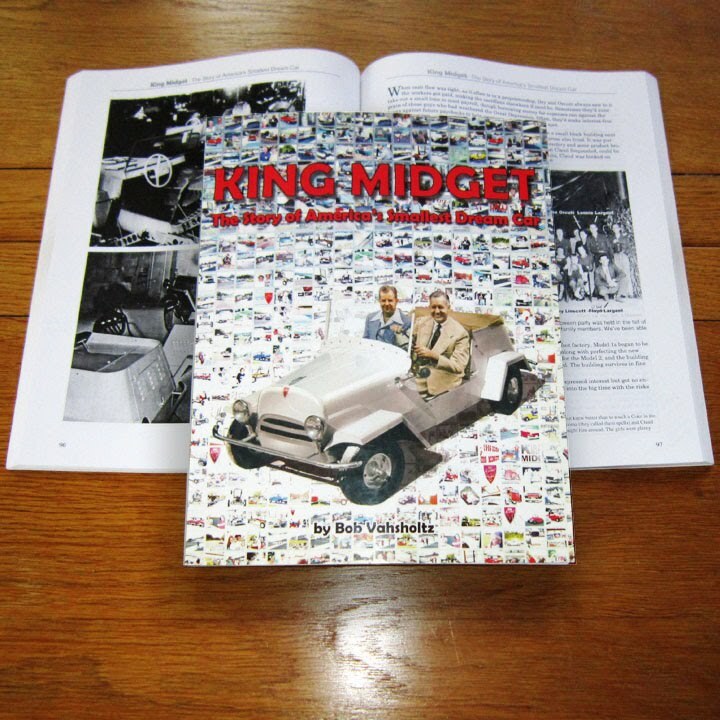 BOB SPENT MORE THAN A DECADE writing and publishing newsletters about King Midgets and looking for someone in the Athens, Ohio, area to co-author a book on the subject. After three false starts, he said to Marge, "If this book is going to be written, I'd better just roll up my sleeves and do it." This book is the result. Now in its fourth printing, it's what self-publishers define as a best seller. Widely acclaimed as the definitive history of these tiny American automobiles, it tells how those two guys on the cover did the impossible.They started a car company from scratch after WWII with virtually no money, ran it for two decades and made a profit every year. They built an average of one car per day, lived well, enjoyed life and sold out at retirement, funding their comfortable retirement. Successor owners ignored the lessons learned by the founders and the company soon failed.